What can the little guy do to help protect against flooding? Flooding is top of mind across the country with the extreme weather patterns over the last few years. It seems that 500-year floods come every few years now. As urban sprawl increases, the ability to absorb the impact of heavy rain events worsens dramatically. More buildings plus more concrete plus more asphalt equals more flooded homes and businesses when a heavy tropical storm or hurricane blows through. Billions in property damage and even loss of life occurs when there is nowhere for heavy rain to go except where it’s not wanted. Bayous, waterways and city stormwater systems are overwhelmed from the massive runoff from all the impervious, non-absorbent paving and buildings and infrastructure. Runoff swells and streams into homes, businesses, schools, churches, nursing homes, hospitals and more. It seems that more and more areas and neighborhoods, that never had concerns of flooding before, have become vulnerable to rising waters. Dredging bayous, adding detention areas, increasing stormwater systems capacity and restricting new development are all costly, undesirable but necessary ways to address flooding. They are necessary, long term ways to address stormwater management. But what can an individual, a small organization or business do to protect their property against water damage? What can the little guy do to protect his turf and also not contribute to his neighbor’s woes? What can corporations and developers do to expand responsibly without adding to the runoff problem in their area? TRUEGRID offers a solution that can be used economically by anyone- from homeowners to large companies and cities – to help mitigate flooding and make communities more absorbent. TRUEGRID permeable pavement is 100% pervious and drains instantly at over 800 inches per hour. There is no runoff when using TRUEGRID. Stormwater detention is put in the rock sub-base below the grid surface. Void space between the rock allows for 40% of the volume of the base I for water storage. Depth of the base determines the amount of stormwater that can be detained. Most commercial parking lots and TRUEGRID applications utilize an 8” base for a 10” crossection that can absorb and detain rainwaters during heavy storms. TRUEGRID can be installed for less than concrete and gives added protection against rising storm waters. So, what can the little guy do? 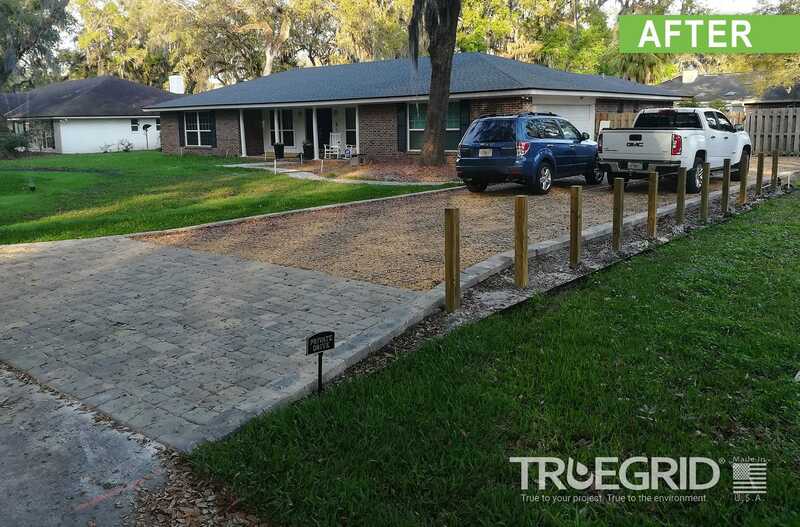 TRUEGRID permeable pavers were installed for this residential driveway to help capture stormwater runoff and prevent flooding. The same thing as the big guys that have used TRUEGRID, like Whole Foods, Google, the US Military, AutoNation and more. Pave with TRUEGRID permeable paving and in effect create a moat around their castle. Whether it’s your driveway, your small business, church or other you can take action to help protect your property from water damage. 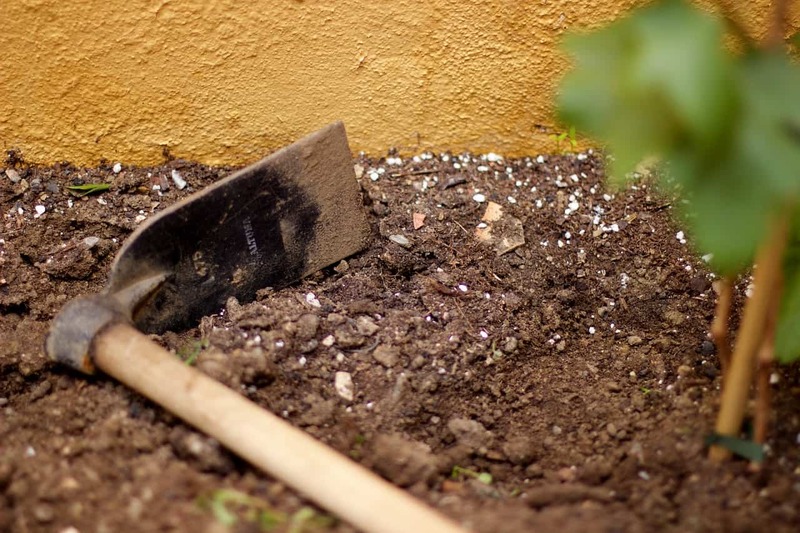 The more neighbors that do the same, the less runoff there will be to endanger lives and property. Talk with an engineer or sales team member today to learn more! 24 hour quotes. FREE SHIPPING. Factory Direct Prices.